It’s a testament to how great Dr. Seuss’ books are that people still enjoy reading them even after all of the terrible movies they’ve been made into. Sure, the old animated ones are pretty good, but nobody ever needed to see The Lorax shilling for Mazda or IHOP. Seriously, Hollywood. Did you even read the damn book? Anyway, studios will now have a new batch of Dr. Seuss stories to make terrible movies out of—much like how the once-glorious Truffula trees were stripped bare by greedy industrialists—thanks to a handful of “lost” stories that publisher Random House probably found in the bottom of a desk drawer somewhere. They aren’t unpublished stories, though, just ones that people most likely have never read. According to The USA Today, they were all originally published in the Redbook magazine “between 1950 and 1955,” back when magazines were about something other than pointless quizzes and perfume samples. Also, for our younger readers, a “magazine” is like a flimsy iPad that only does one thing. 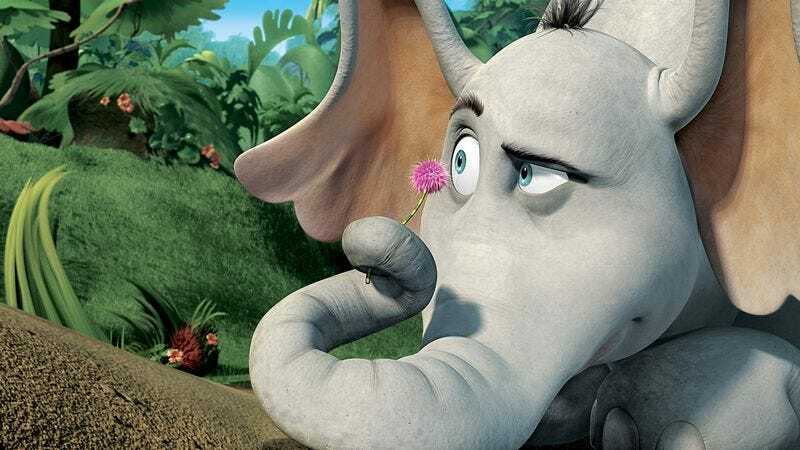 The four stories are being collected into a new children’s book called Horton And The Kwuggerbug And Other Lost Stories, and they include early appearances from the elephant Horton (of …Hears A Who fame) and To Think I Saw It On Mulberry Street’s Marco. One story in the collection, “How Officer Pat Saved The Whole Town,” actually takes place on Mulberry Street, giving Seuss his own Salinger-esque literary universe. The final story, “The Hoobub And The Grinch,” is about a Grinch—not the famous one, though—convincing something called a Hoobub that a useless piece of string is extremely valuable. We’re not sure if this is the first time the existence of multiple Grinches has been acknowledged, but we know that it will absolutely be a plot point in Grinch 2 if Jim Carrey ever gets really desperate for money.